Art and Crafts Pottery of Andalucia | Arts & crafts | Andalucia, Southern Spain. 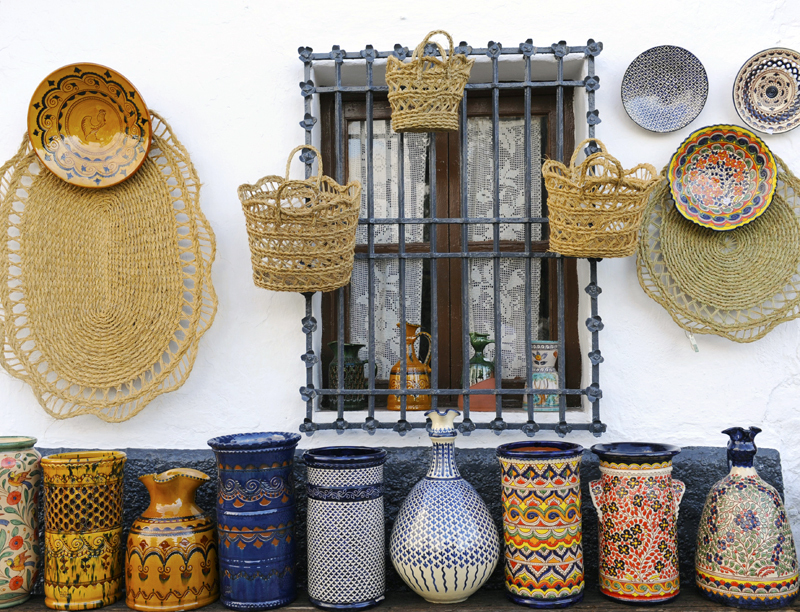 Andalucia is famous for its handicrafts, from leather and embroidery to ceramics. all around the region, you can find pretty, colourful bowls, plates and mugs, as well as and small, portable gift ideas (or interior Andalucian touches for your own home) such as dip platters, olive dishes, sangria jugs, and oil and vinegar holders. Studios and gallery in the beautiful Andalucian countryside producing hand thrown pottery and fused glass. The pottery of Malaga is famous for its metallic tones. In the picturesque village of Frigiliana, a few miles inland from the Costa del Sol which makes it a popular day out for visitors on the coast, you can buy some lovely colourful pieces. The Sevillian quarter of Triana has been a notable centre for pottery since Roman times - some of the most famous tiles in Andalucia are the azulejos (ceramic tiles) from the folkloric riverside barrio. Many styles of azulejo have been produced throughout the centuries - in the 12th century, Moorish craftsmen decorated the salons of the Alcazar with colourful geometric design tiles. Today, you can visit a museum in the barrio celebrating this long, rich tradition, examples of which can be seen all over the city; a few workshops still remain in Triana. You can buy replicas of 16th, 17th and 18th century tiles in the shops around called Antillano Campos. The town of Lebrija in south-west Seville province has its own style of blue ceramics. In Cordoba, the towns of Lucena and La Rambla have their own pottery traditions. The potters of Cordoba city are famous for their reproductions of pieces from the Moorish period of the Caliphate. In Granada, the ceramics of the quarter of Fajalauza in the town of Viznar, near the regional capital, are legendary. The town of Guadix, well-known for its cave houses, had pretty blue and white pottery. In Almeria, the town of Nijar is renowned throughout the region for its stunning ceramics with Arab motifs - look out for the fountain. Jimena is also well-known for pottery. in Huelva Province the town of Trigueros produces fine jugs. Jaen Province is famous for the pottery produced in the towns of Bailén and Andújar, as well as Ubeda and Baeza (dark blue and white designs). Traditional pottery has lost much of its importance in daily life due to the advent of plastic and aluminium, although tiles and bricks are still widely used, as well as water pitchers and flower pots, glazed earthenware jars and bowls (especially for piping hot dishes such as gambas al ajillo), all of which are produced with skill and originality. 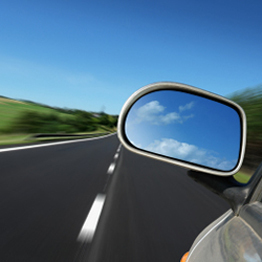 Current production covers a wide range of techniques, including traditional glazes and modern finishes for decorative purposes, such as adornments for houses: vases used on corners of houses, waterspouts, and tiles with letters for composing street names and business signs. In addition to traditional pottery in Andalucia, a few contemporary artisans have studios hidden away in the countryside, using unique, modern methods such as hand-thrown studio pottery - predominantly tableware, but also some individual pieces. Fused and slumped glass are other methods that produce fascinating results.